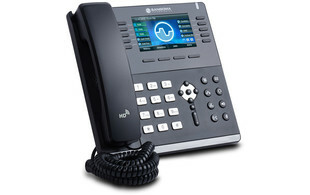 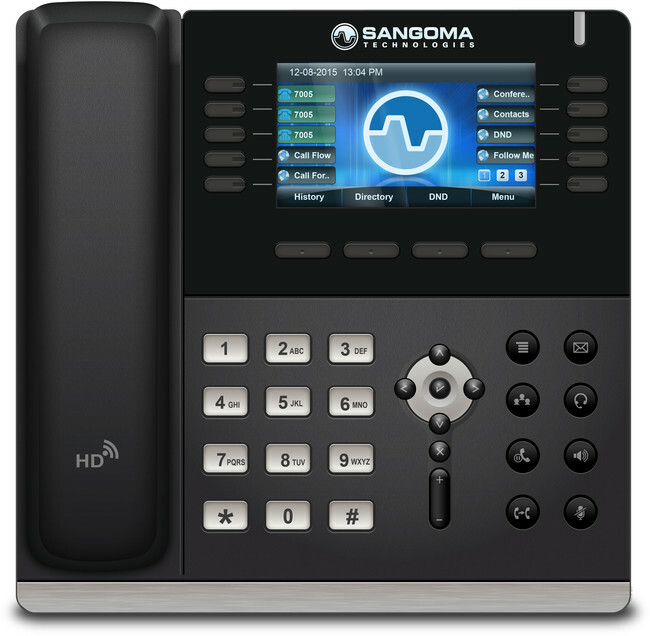 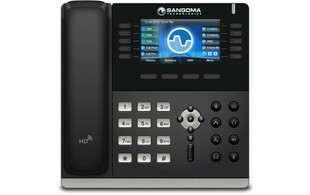 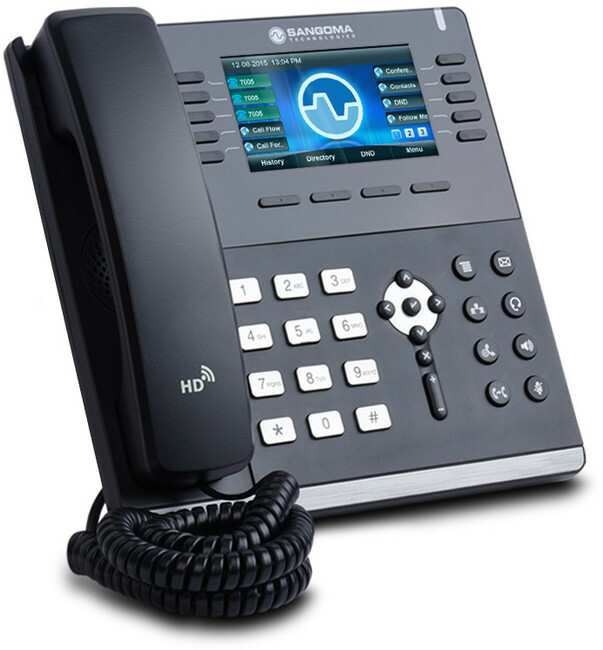 The Sangoma s705 IP desk phone is designed to work with Sangoma FreePBX and PBXact. 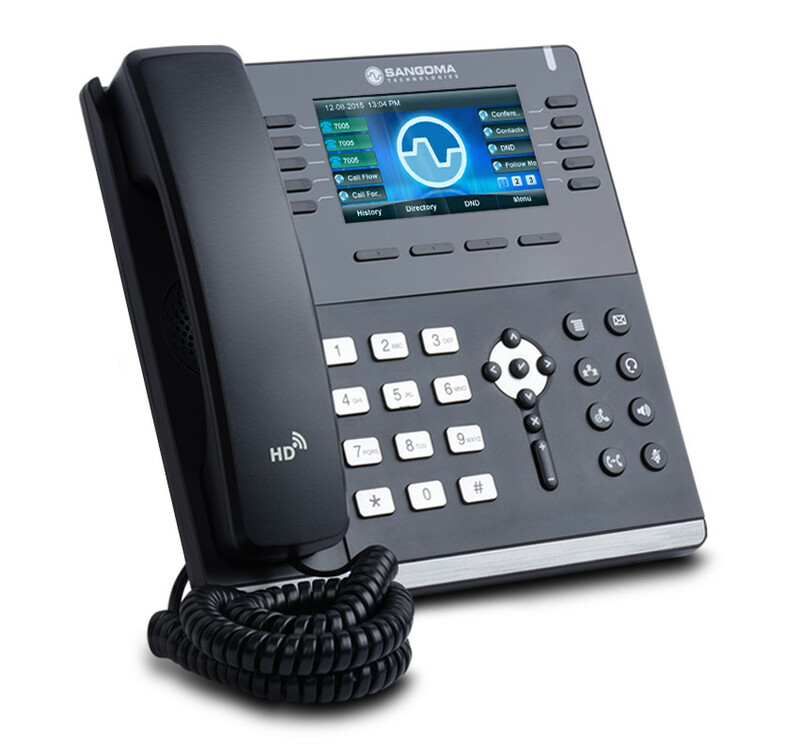 As the executive-level device in the S range of phones, the s705 offers a fully featured end point with support for up to 6 SIP accounts, dual Gigabit Ethernet ports, WiFi and Bluetooth support for headset connectivity and a large 4.3" full colour display. 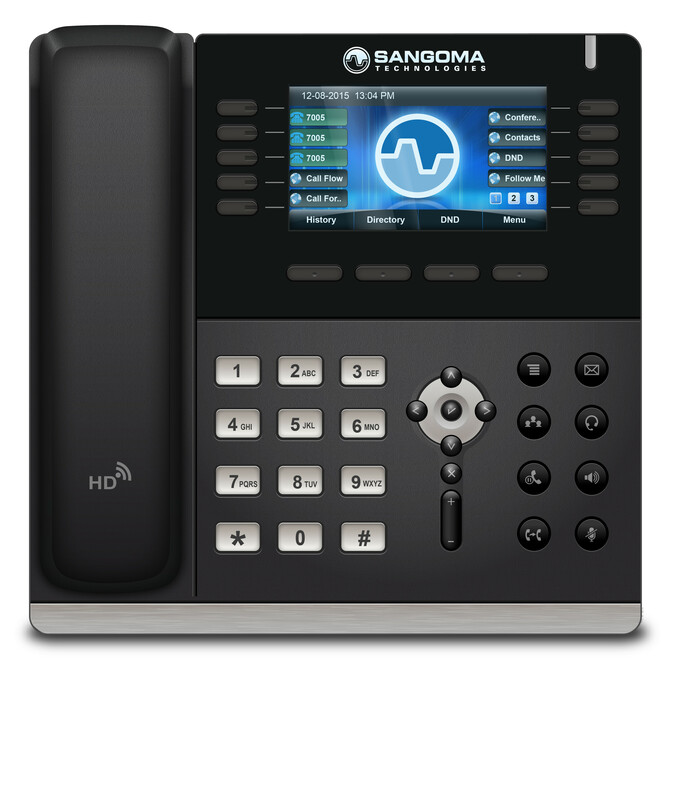 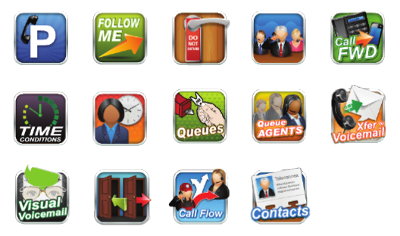 With 10 customisable keys each with on screen labels, up to 5 pages can be viewed for access to a total of 45 personalised functions or quick dial buttons - ideal for users looking for a feature-rich phone with a range of advanced functionalities.